Samsung’s upcoming Galaxy S8 Lite has been revealed in new press renders. After leaking just a few days ago through FCC and TENAA listings, new press images shared via Weibo confirm the leaked smartphone’s design and also reveal two launch color variants. As can be seen in the images, the design remains nearly identical to that of the regular Galaxy S8. This means an Infinity display with curved edges will adorn the front glass panel, while the rear will continue with the glass build. Also, sandwiched between the panels is an aluminum frame, which once again features a dedicated Bixby button. Looking at the back of the smartphone, a single camera lens is featured, although the resolution is said to be 16-megapixels instead of 12, with this being accompanied by an LED flash. In addition, and a clear signal that the company is recycling the design, the controversial rear fingerprint sensor placement will be making a return. 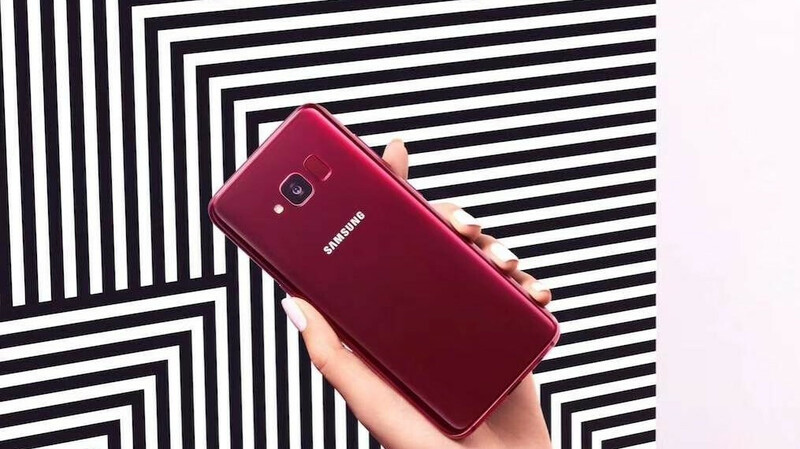 However, indicating that the smartphone is a mid-range offering, Samsung has chosen to remove the rear heart rate sensor. Looking at the internal hardware side of things, recent information claims the revamped Galaxy S8 variant will include Qualcomm’s octa-core Snapdragon 660. This will be coupled with both 4GB of RAM and 64GB of internal storage, although this should be expandable via microSD. The device is expected to ship with Android 8.1 Oreo straight out of the box, while a 3,000mAh battery will make a return. In a bid to cut costs, however, the display will feature a lower 2220x1080p resolution. On a pricing and release note, Samsung is yet to confirm the device’s existence. But information currently points towards a May 21 launch in China. In any case, the leaked renders confirm that both Black and Burgundy Red variants are in the works. While in terms of pricing, Samsung will most likely market the device around the $450 mark. It would be a nice phone if it was smaller than the S8, but I suspect it will share the same external casing with the S8...and I don't see the point of this over the A-series. I agree, a 5" s8 would be amazing. I assume the Galaxy S8 Lite will fill the pricing gap between the Galaxy A6 series and the Galaxy A8. why not a s9 lite? Why dafuq Samsung makes 100s of phones? Why don’t they just keep it simple? Less phones equals to faster updates and less mess. Come one Samsung, how many phones do you need to release. The A series is essentially the same phone. It's a cluttered market, now. "Throttling" is an actual thing, and there's a such thing as brands not being trusted with your info (*cough*huawei*cough*). Think about it this way, when Nike release a new Air Jordan shoe, don't they always make a cheaper shoe that looks kinda like it? Don't the people who buy that cheap shoe eventually buy the premium; more expensive shoe when they get a little extra money? When you buy into the culture, you also buy into the idea of what's best and aim for the next level.